optoblog.com » Blog Archive » Do Utah Native Americans Suffer Healthcare Discrimination? Do Utah Native Americans Suffer Healthcare Discrimination? 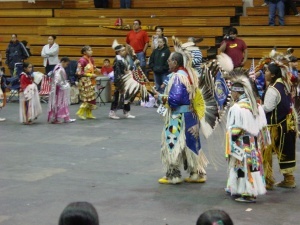 Uintah and Ouray dancers at an indoor youth pow wow. SALT LAKE CITY (AP) — The Utah Department of Health says the state’s American Indians are disproportionally affected by chronic health problems such as diabetes and asthma. A report released Thursday shows more than 11 percent of the state’s American Indian population has diabetes. The average for all Utahns is about 6 percent. Rates of asthma and smoking among American Indians are also above the state average. The report says Utah’s American Indian population also has lower rates of health care coverage, prenatal care and physical activity. 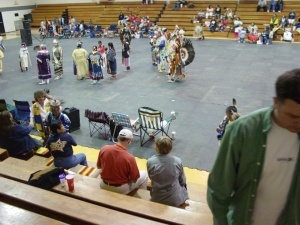 American Indians make up about 1.7 percent of the state population. and Eliminate racial health disparities. You would think that an AP reporter investigating this state report might be a little curious why this could be. Because the AP is liberal, the only answer acceptable to them is that we discriminate against Native Americans and that we aren’t spending enough money. The real reason would be to look the Native American population in Utah itself. The Uintah and Ouray Reservation has a small population- just over 3000, and about half live within the reservation. In fact, most Utah tribes are small. With such a limited gene pool in each community, you are going to get a lot of people with the same health risks. So you will have to excuse me if I don’t join the liberal’s hysterics in a made up outrage. 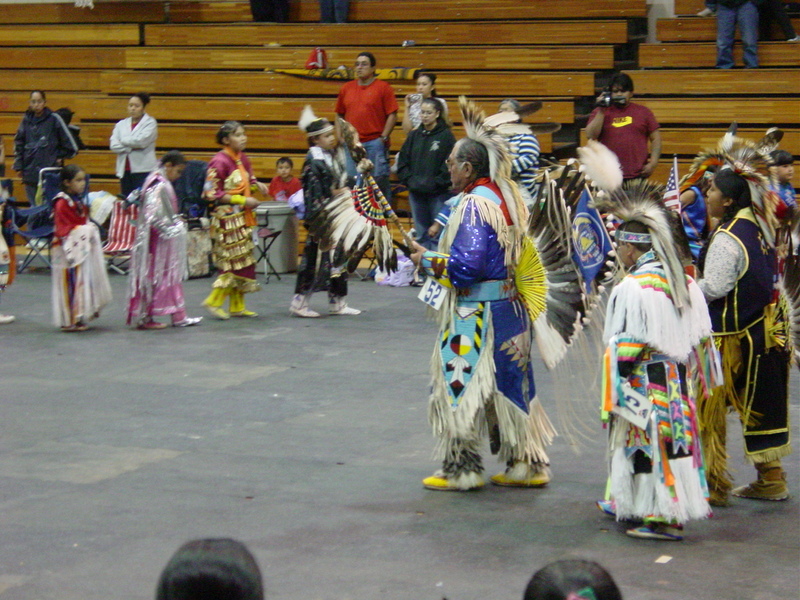 Me (far right) at the May 2003 indoor youth pow wow in Fort Duchesne, UT. I would suggest that if you would like to increase the health of Native Americans, try letting them transfer their health benefits to anywhere they want to live. If a Native American wants to move and marry someone from off their home reservation, they are denied their treaty-established healthcare at any other reservation. I’ve seen patients that lived in another state come back to their home reservation for a few months to re-establish residency in order to have an expensive operation paid for by their benefit. Not everyone is in the position to do this, so healthcare is probably under utilized by the many Indians living off their home reservation; however, if all the sudden you allowed healthcare portability for Native Americans, you would need to significantly increase the Indian Health Service budget. Anyway, I just wanted to highlight this liberal tactic promoted by the Drive-by Media that calls attention to some pretended outrage and lays the blame on discrimination and not enough government spending when the real problem is neither. The facts are that the smaller the genetic variation, the more probable that certain health conditions will occur among that population. For fun, here is a video of my boy dancing to the beat at an indoor pow wow on the Uintah and Ouray Indian Reservation back in May 2003. By the way, for those of you not interested in reading the rest of my website, I lived in or next door to an American Indian reservation for over 20 years. I worked as a Public Health Service optometrist at the Blackfeet Community Hospital in Browning, MT for two years. Everybody admits that there are problems on the reservation, but throwing more tax payer dollars at it will never help. Seriously, if that were the answer, wouldn’t we have a utopia by now? LBJ started the War on Poverty in 1964, and it has been a 45 year quagmire. Let’s try conservative solutions for a change! Policy makers need to listen to the voices of conservatives, like David Yeagley, a descendant of Bad Eagle. And Rush, Sean, Glenn, and Ann. Comments Off on Do Utah Native Americans Suffer Healthcare Discrimination?